OMGEEEE!!! My internet has been down for the last few days and I am too happy to be back!! Guess what?!?!? Santa paid attention to my last outfit post and sent me a new camera and I LOVE IT. I just couldn't wait to share some of the photos Ive taken with it because its pretty much amazing. 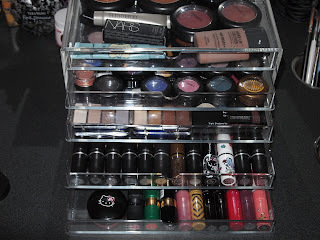 I am ecstatic about the five draw acrylic case that I purchased from MUJI. 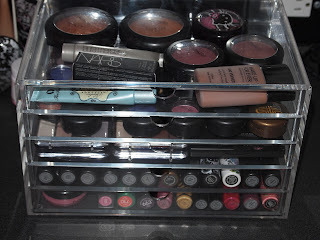 My make-up fits perfectly into the draws while keeping everything neat and easy to grab!! I'm so loving MAC's Cranberry and Satin Taupe pan form eyeshadows. 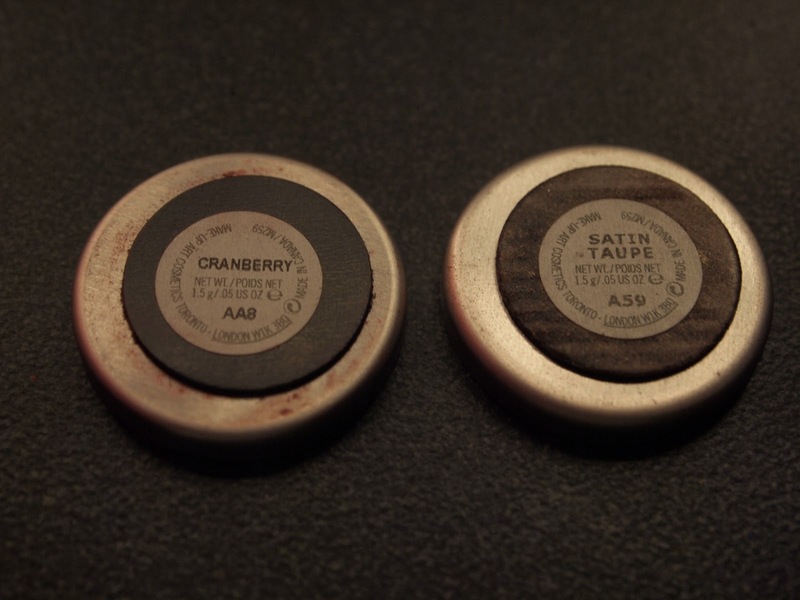 They're great all over the lid colors being that lately I've been wearing really strong lips. I'd suggest to any MAC lover out there to invest in a palette and buy the shadows in pan form because its cheaper. Lastly I have to rave about this candle from Bath & Body Works. It smells so good but it makes you want to jump up and bake a cake!! 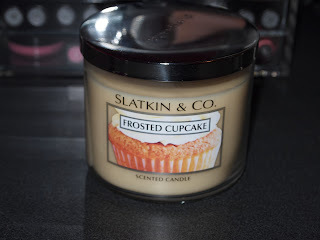 The scent is identical to a frosted cupcake and all the candles are like that. There are so many to choose from like fresh baked cookies, caramel, fresh basil, spiced pumpkin. Their all amazing so stop by Bath & Body Works asap and pick one up!! 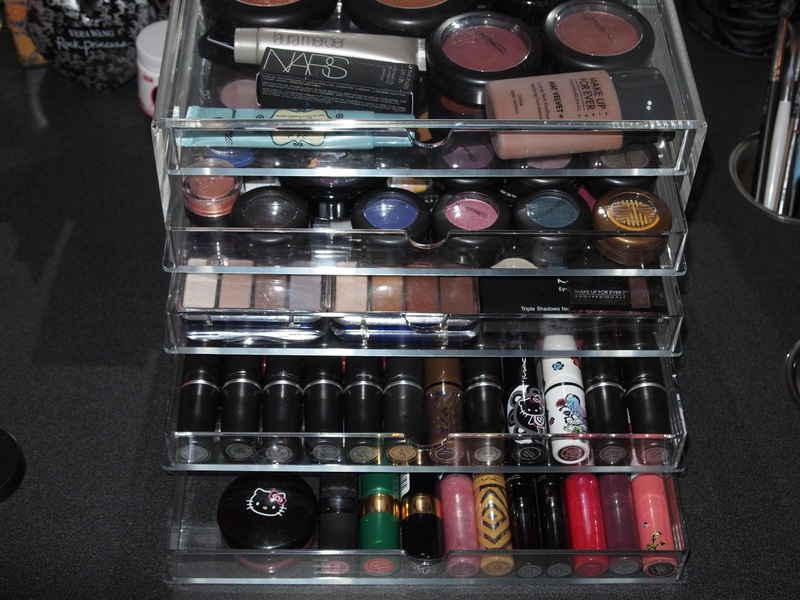 OMG I have been looking for drawers for my makeup like that forever! All the Kardashian sister have them and I'm obsessed. Such a great find! 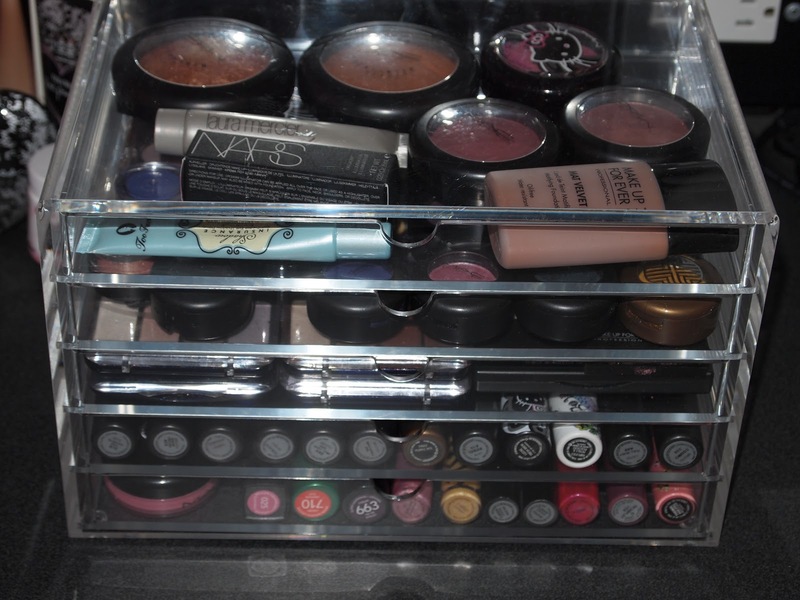 I love the makeup drawers I so need that and that candle sounds like it smells great. 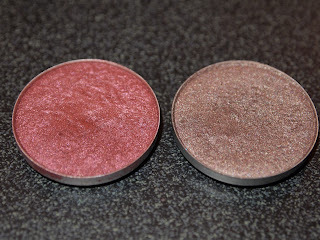 ps: maybe you like to join our giveaway?